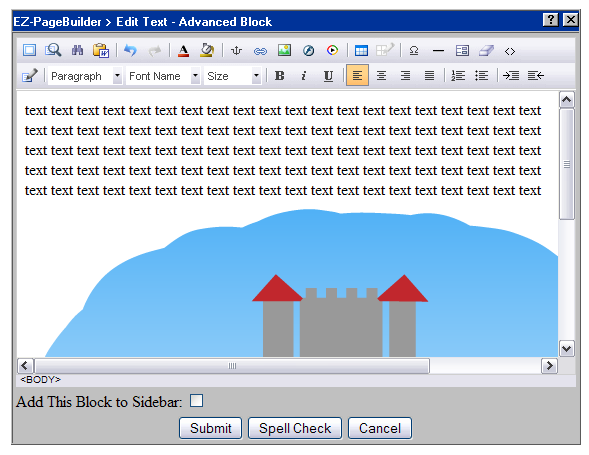 Using The Text Advanced Block with Images. 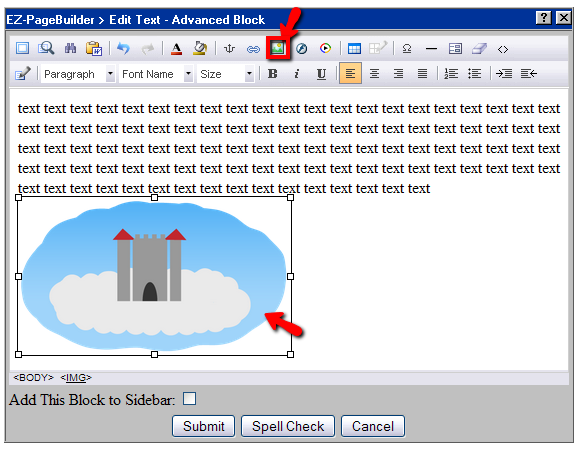 So you know how to use the Text Advanced Block for editing text, but did you know it's also the easiest and most powerful way to use images as well? This Tutorial shows you how. 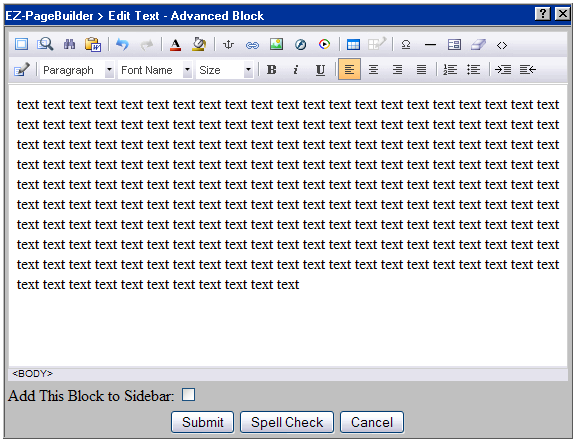 First, let's say you have a Text Advanced Block with text in it. To add an image, click the "image" button at the top. This will bring up the image window. You can type the path to your image in the "Source" field, or you can simply click the "Browse" button as indicated below. 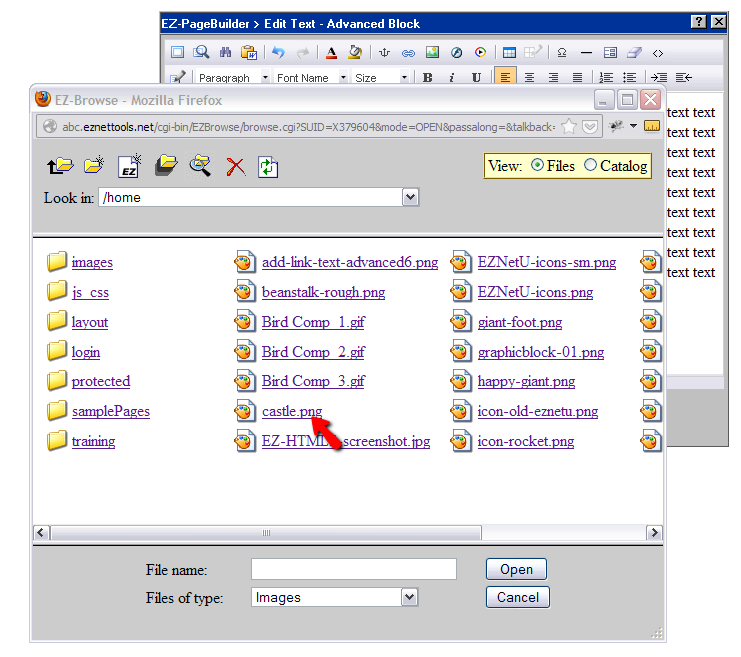 The "Browse" button opens the EZ-Browse window, where you can find and select your image file (The file must be uploaded to the server). 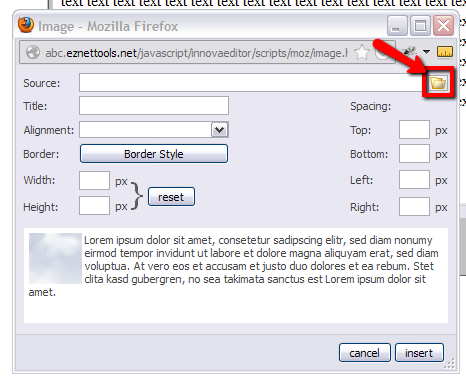 Then click "Open"
Now you see the image file in your "Source" field. 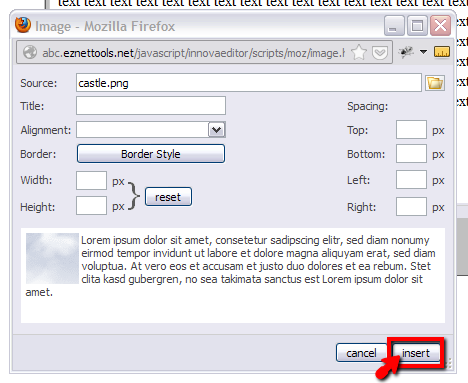 To complete the process, click the "insert" button. 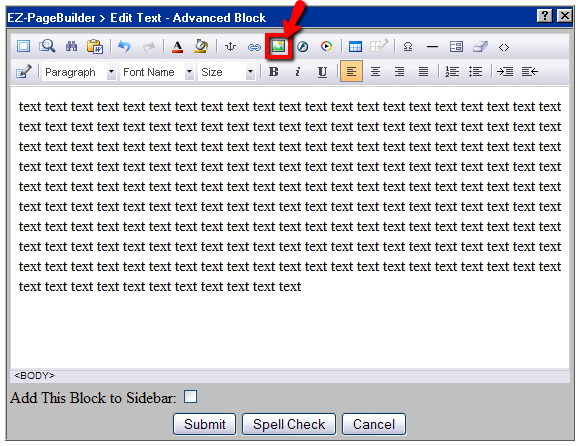 Now your image is in the Text Advanced block after your text. 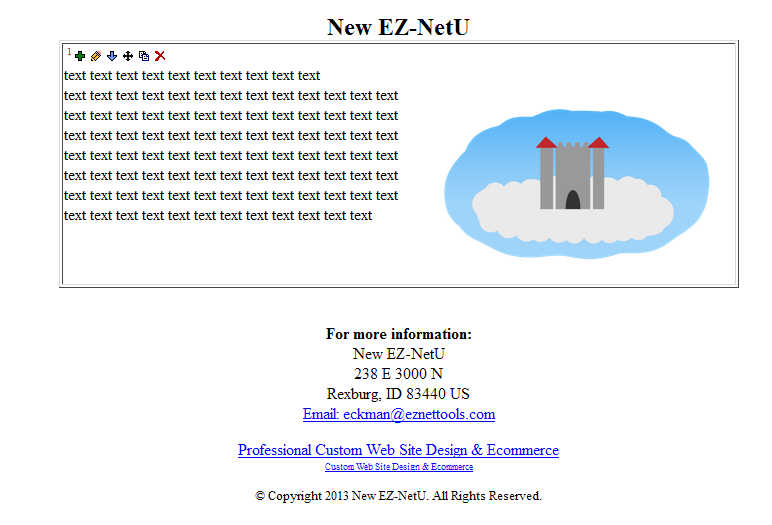 But in this case, we want it to be smaller and we want it to be up to the right of our text. Below we explain how. 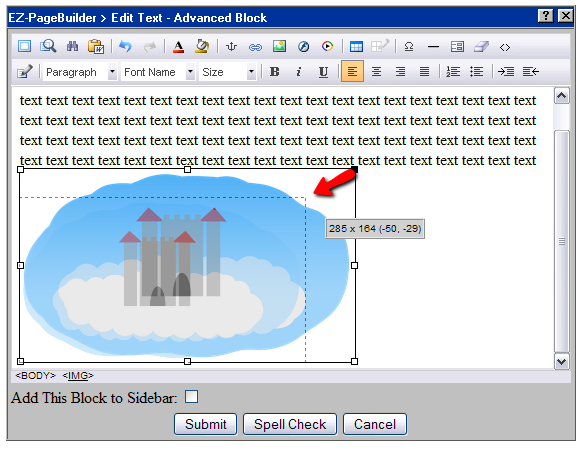 This is where the Text Advanced Block makes working with images easy, to change the image's size, just simply grab an edge or corner and drag to make it smaller or larger. To move the image up to the right of the text, first click on the image and then click the "image" button at the top again. Then click on the "Alignment" dropdown menu. Here you will find several alignment options. Lets set ours to go to the right. 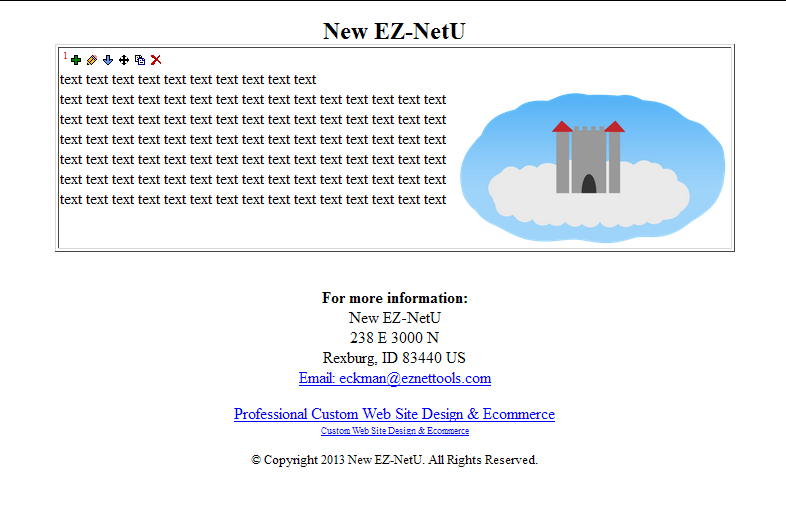 After its aligned to the right, just drag the image up to where you want it. Click "submit" and here you have it. But what if we want some extra space on one side or all around our image? 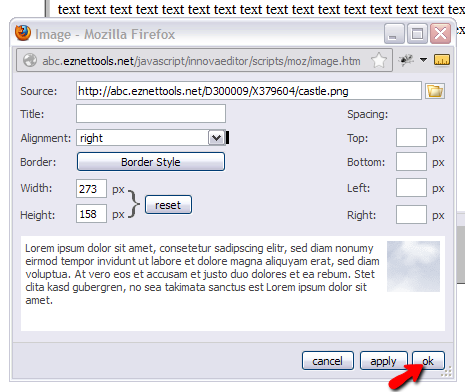 Just click the image agian, then click the "image" button at the top to bring up our image window again. 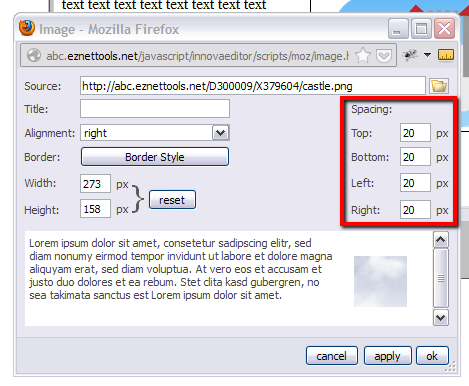 On the right you see where you can add spacing on each side of the image. Here I put 20 pixels of space all around the image. And here is our final product. 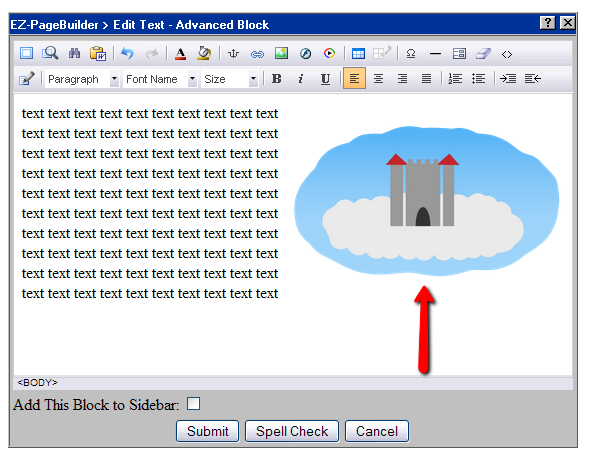 This is very basic but there is so much more you can with images in the Text Advanced Block, like making images into links. Play around and see what you can create!